The week leading up to Easter is filled with opportunities to pray, worship, share Communion, and grow. 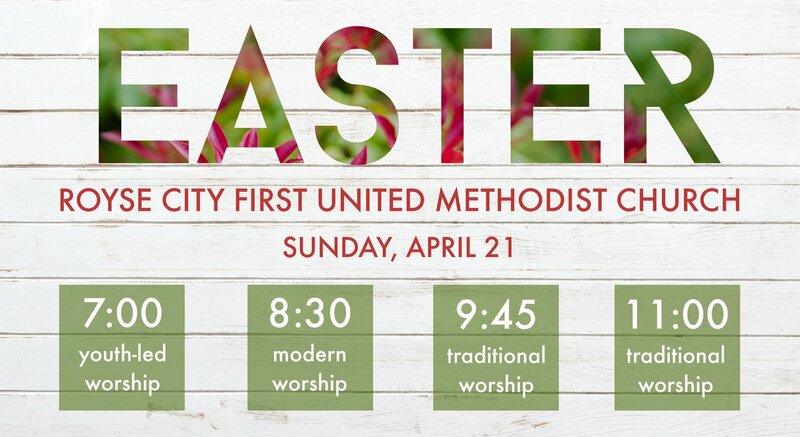 We'd love to see you at one or more of our holy week services. 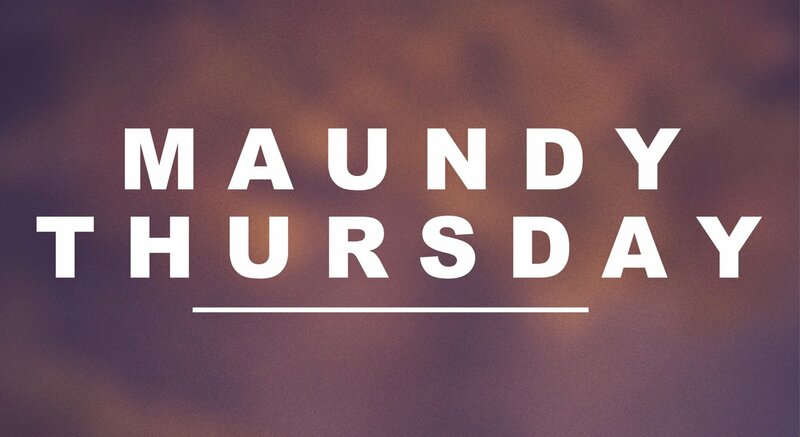 Maundy Thursday is another name for Holy Thursday, the first of three days of solemn remembrance of the events leading up to and immediately following the crucifixion of Jesus. The word "maundy" comes from the Latin mandatum which means "commandment." As recorded in John's gospel, on his last night before his betrayal and arrest, Jesus washed the feet of his disciples and then gave them a new commandment to love one another as he had loved them (John 13:34). The other gospels include the Lord's Supper among the events of this night. Our Maundy Thursday service will include Holy Communion. We invite you to join in this special remembrance. Nursery available. 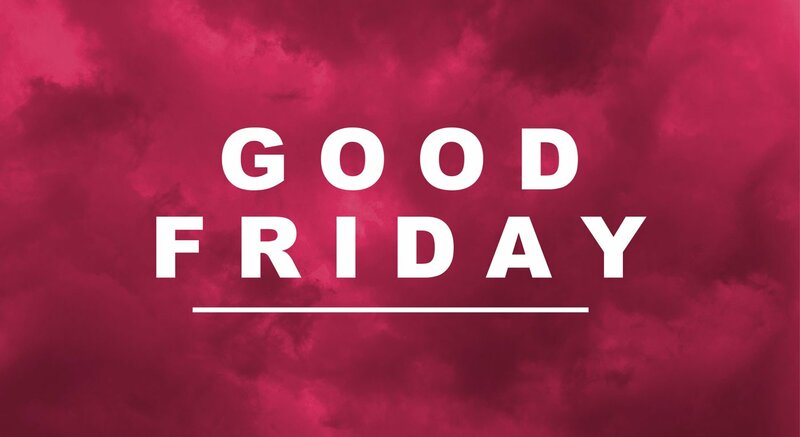 Good Friday is a day that proclaims God's purpose of loving and redeeming the world through the cross of our Lord, Jesus Christ. It is a day that is good because God was drawing the world to himself in Christ. As seen in John's gospel, particularly, God was in control. God was not making the best of a bad situation, but was workin gout God's intention for the world- winning salvation for all people. We call it "good" because we look backward at crucifixion through the lens of Easter! Good Friday is a time of lament as we remember the sacrifice Jesus made on the cross to save us all from our sin. Our Good Friday service will be in the Taizé style of worship with simple music, scripture reading and silence. Our reflection will be on the passion of Jesus Christ on the cross. Nursery available. April 21, 2019 | 7:00, 8:30, 9:45, & 11:00 A.M. The story did not end on Good Friday, because HE IS RISEN! Death could not hold him down and we will rejoice that Jesus is alive! Join us at 7:00 A.M. for a sunrise service in the Family Life Center. Worship will be led by our youth and their praise band. This service will feature a storytelling of Easter using Resurrection Eggs. Our 8:30 service will feature the praise band, a modern worship style, and an encouraging message titled "God is Transformative" by Pastor Chris. Our wonderful nursery staff will be ready to entertain babies and toddlers in Wesley Hall for parents who might enjoy the help. For children who join us in worship, we'll offer a Young Disciples Time midway through the service. Immediately after, children in preschool-3rd grade may join Ms. Wanda in Wesley Hall for Children's Church (for those who would benefit from fun activities during Pastor Chris's message.) This service will last approximately one hour. Most of our Sunday morning groups, which usually meet at 9:45, will take a break from gathering on Easter Sunday. Our 9:45 and 11:00 services will feature our choir, a traditional worship style, and an encouraging message titled "God is Transformative" by Pastor Chris. Nursery services, Young Disciples Time, and Children's Church are also available. Both services will last approximately one hour. Our Hospitality Team is here to help you with everything you need on Easter morning. We'll be outside to assist you in finding the perfect parking spot; we're here to help you find the nursery; we'll find a great seat for you, your friends, and family; and we'll make sure you're comfortable. We look forward to seeing you! You belong here.